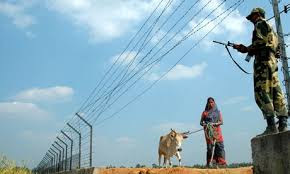 Rural Economy in West Bengal: What does the SECC 2011 show? The data of Socio Economic and Caste Census 2011 (SECC 2011) was partially published by the Union Rural Development Ministry on July 3, 2015. Already, it has created a lot of controversy and debate both within the political establishment and academia. Abhijit Sen (2015) has argued that the SECC 2011 data is robust and consistent with those available from other sources up to the state level. Bhalla (2015), though, has argued the opposite. According to him, there is wide divergence on several indicators in data of the SECC 2011 as compared to the Consumption Expenditure and Employment-Unemployment Surveys of the NSSO. India and Bangladesh shared a peculiar history of enclaves. It is a long twisted tale of certain areas finding themselves in trans-territorial setting. Enclaves are fragments of one country totally surrounded by another. The trans-territorial setting means an area being geographically located in one country but politically and legally belonging to another. While the world does not have too many enclaves at present, the most well known ones are the Baarle-Nassau and Baarle-Hertog enclaves Belgium and the Netherlands respectively. While the Belgium –Dutch enclaves are only 30 in number, there were 111 Indian enclaves in Bangladesh and 51 Bangladeshi enclaves in India. Admissions to the undergraduate programs of Delhi University happen through a chaotic, decentralized system which imposes unnecessary work and uncertainty on colleges and students every year. It does not have to be so. There exists more than half a century of scholarship and practice on designing systems that match two groups of entities such as colleges and students while taking into account the preferences of all participants. It is time that Delhi University looks seriously into implementing such a system for its admission process.